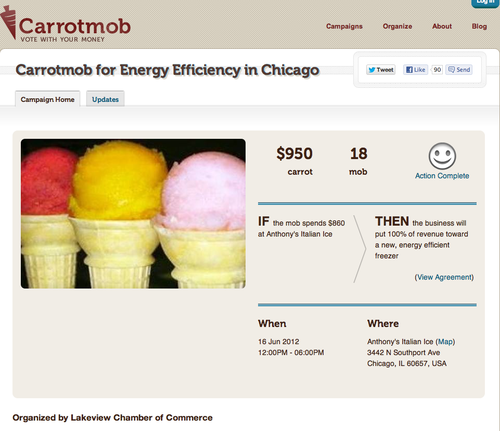 We recently improved our Campaign Page to make it more social. 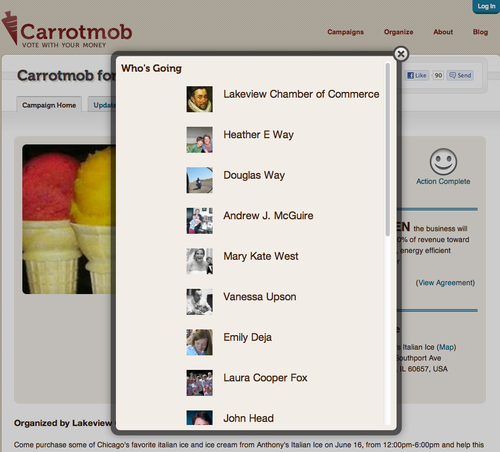 Now you can see who is planning to attend an event by clicking on the number of mobbers listed on the page. 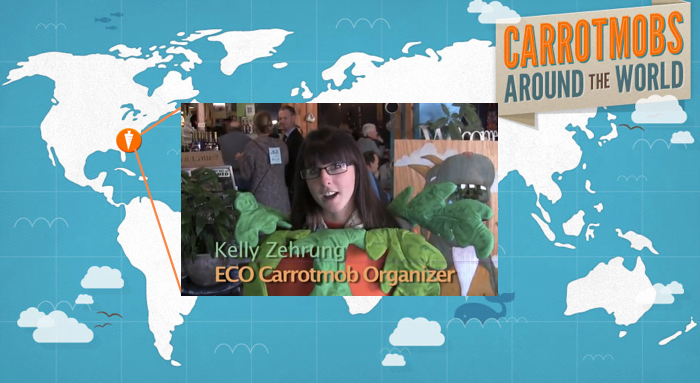 Take a look at this recent Carrotmob event in Chicago. Simply click on the number of mobbers “18” and you’ll now see who’s attending. 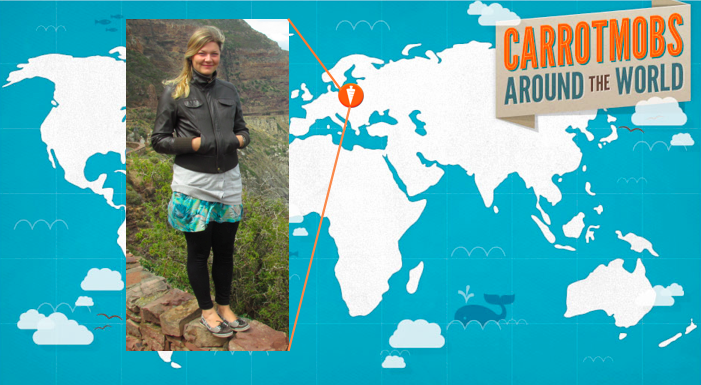 We hope you like this improvement. Let us know what you think.